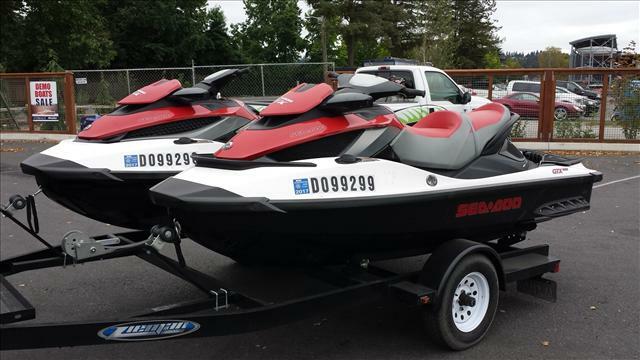 2013 Sea-Doo GTi SE 130s A pair of 3-Passenger Style Personal Watercrafts equipped with an 1494cc, Liquid Cooled, In-line, SOHC, 4-Stroke Engine. They put out 130HP and go up 55 MPH. They are 11 feet long and very stable. 39 hours of use. Can pull skiers and wakeboarders. These special boats have the breaking/reverse system which makes them safe and easy to operate. They also have special keys for younger riders to keep the speed lower. Rear boarding step. Super clean. Freshwater use only. Well maintained.  Professional wintering each fall. Stored indoors in the winter. 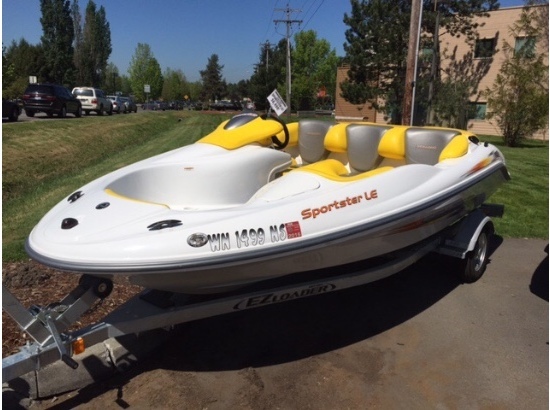 Comes with Seadoo Move II Trailer, boat covers, life jackets, gas can and bumpers. Purchased in 2013 for $20,200. Now selling for $15,900. 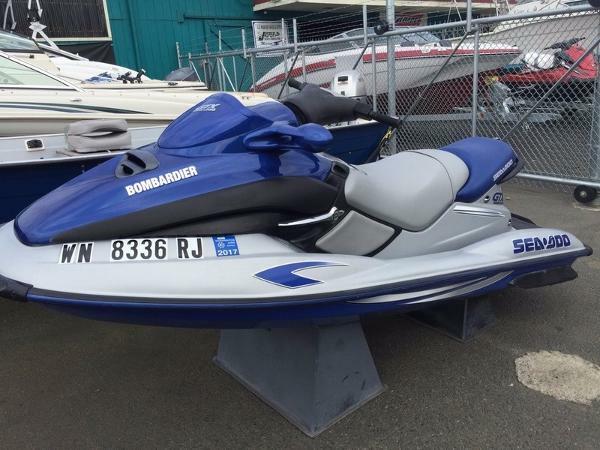 2011 Sea-Doo Sport Boats Bombardier 215 GTX IS, Pair of SeaDoo Bombardier's - one model 215 GTX, one 215 GTX IS. Only 15 hours on each! Packaged on a single axle Zieman trailer. One owner, and were purchased new in 2011 for $29,000. 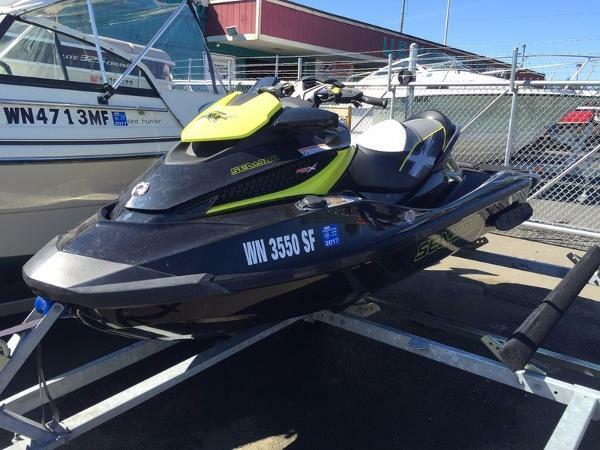 2011 Sea Doo 215 GTX IS, Pair of SeaDoo Bombardier's - one model 215 GTX, one 215 GTX IS. Only 15 hours on each! Packaged on a single axle Zieman trailer. One owner, and were purchased new in 2011 for $29,000. 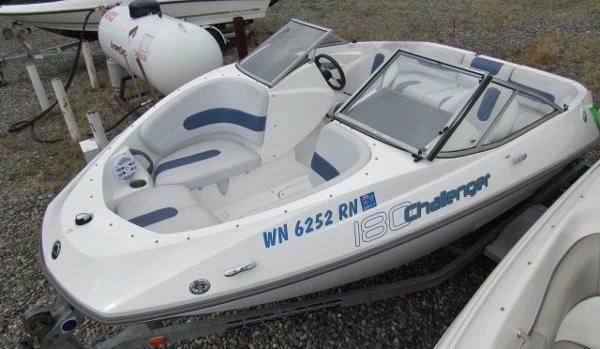 2007 Sea Doo 180 Challenger Perfect water sports starter boat. 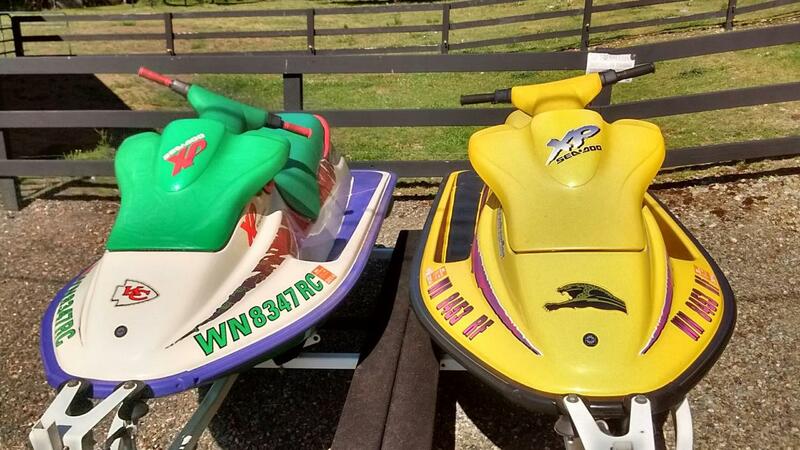 Cruise the lakes or take friends out wake boarding. The rear bench has plenty of room for three with storage under the seats. Large integrated swim platform with swim ladder and grab handles making water sports much more convenient, safe and enjoyable. Its lighter weight makes it easier to tow. 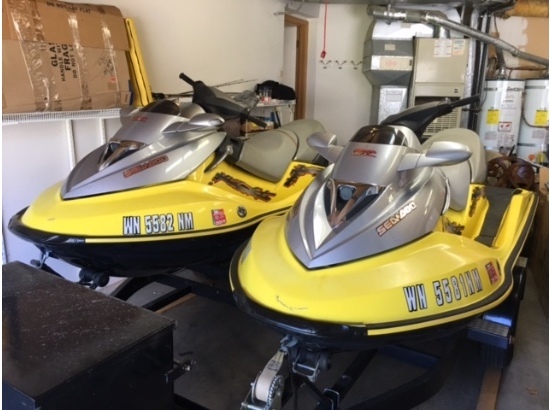 2011 Sea Doo 215 GTX IS, Pair of SeaDoo Bombardier's - one model 215 GTX, one 215 GTX IS. Packaged on a single axle Zieman trailer. One owner, and were purchased new in 2011 for $29,000. 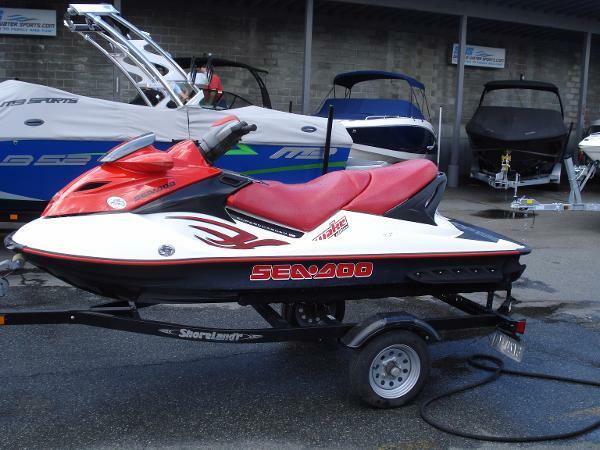 2001 Sea-Doo GTX DI 2001 Sea-Doo GTX DI This 2001 SeaDoo GTX DI is very clean and has low hours. Hurry it won't last! 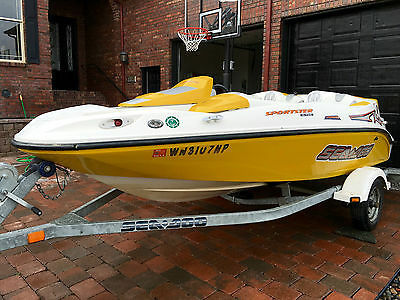 2004 Sea-Doo Sportster 4-Tec jet boat and trailer - looks and runs great! Great condition, runs perfectly! 4 seater with plenty of storage space. Well taken care of - regular oil changes, new battery, covered and stored in garage. Our family has outgrown it, otherwise we'd keep it! Runs forever on one 23 gallon tank of gas. 155 hp. 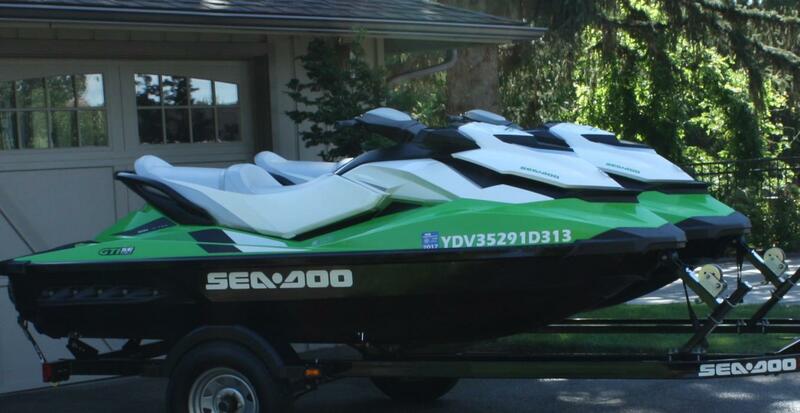 Super fun boat, fast, great handling and can go places many boats can't (jet drive). Powerful engine pulls skis and tubes easily (even with 4 kids on the tube). In floor ski locker, plus back storage, side insulated cooler compartment and large misc. compartment. Marine AM/FM/CD stereo system. Rear swim platform. 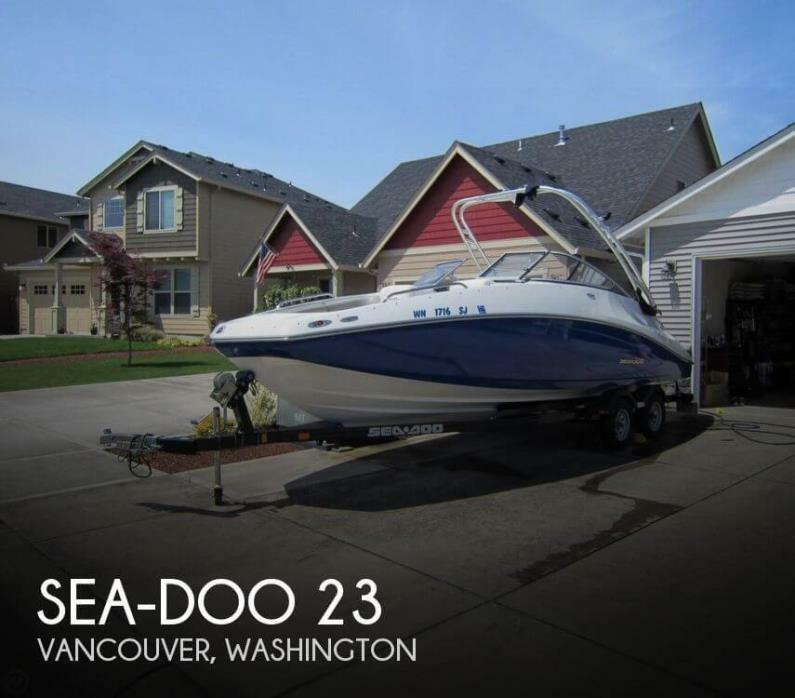 Slalom ski, Skurfer board, tow rope and inflatable floating island included!